The Florida Second District Court of Appeals has affirmed a lower court ruling allowing residents to operate their homes as short term rentals. The city attempted to enforce a 2003 code banning short term rentals, but the 31 homeowners in the suit claim that they should be allowed to continue because they were renting short term prior to the 2003. The city has not decided whether to appeal, but will enforce the code on other properties. They will be monitoring the use of the 31 properties, and should it change they can lose their "grandfathering". The following residential sales closed in Novmeber 2007. Data is obtained from the local Realtor MLS. The Memorial Holiday Boat Parade, one of Clearwater's best events, will be on December 9th. It is sponsored by the Island Estates Yacht Club. The parade will begin at 6 p.m. in Mandalay Channel between Island Estates and Clearwater Beach. The boats will navigate through Island Estates, & head toward Coachman Park where they will arrive at 8 pm. They will proceed under the Memorial Causeway Bridge, turning into the Clearwater Marina Channel, ending at the Clearwater Yacht Club where the judging will take place. The prospective new owner, who also own the neighboring Marriott, is requesting that the zoning be changed to "tourist". It is currently zoned as business. Both allow similar use, but different different density restrictions. The owners have expressed interest in replacing the Shoppes with another hotel building. Citizens are concerned about losing thier shops and restaurants, and also about the height of the building should the owners decide to add more hotel units. They could add as many as 125 units. The Community Redevelopment Board will meet on December 18th to discuss the issue. Citizens can voice their opinion by emailing steven.everitt@myclearwater.com. The Civic Associations of Sand Key, Clearwater Beach, and Island Estates will hold a roundtable discussion on tax changes to be voted on in January. The meeting will be at the Sand Key Sailing Cenber at 7 pm on December 5th. In addition to Clearwater Mayor Frank Hibbard, State Representative Jim Frishe, State Senator Dennis Jones, and Pinellas County Commissioner Karen Steel will be speakers. The owners of the Sand Key Marriott are looking into the possiblity of replacing the Shoppes on Sand Key with hotel rooms. The Marriott owners currently have an option to purchase the neighboring property and are considering many things, including adding boat slips behind the existing hotel. Replacing the retail area with hotel rooms will require rezoning. The issue is expected to be put before the Clearwater City Council in January. The following residential sales closed in October 2007. Data is obtained from the local Realtor MLS. 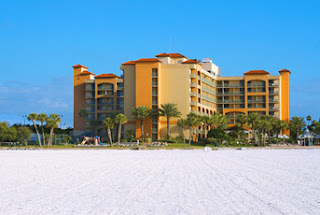 On November 1st the Clearwater Beach city council passed an ordinance prohibiting residential property from being used or occupied in interval or fractional ownerhip, or as a timeshare unit. This vote was prompted by a handful of properties that were being marketed for sale as fractional ownership. The annual city-wide yard sale will be on November 10th starting at 8am. Many residents will have one on Sunday also. Everything imaginable will be for sale including cars, clothing and condos. The city has placed signs at streets with participants. If you are coming from Clearwater, be sure to use the Belleair Beach Causeway - the Memorial Causeway may be closed for the triathalon. This yearly event allows residents to participate for free. During the rest of the year residents are allowed 2 yard sales and must buy a permit. The 2007 Ford Ironman Championship will take place on Saturday November 10th. This 70.3 mile event will begin at 7 am at Pier 60 in Clearwater Beach with a 1.2 mile swim, then on to the 56 mile bike and 13.1 mile run through Clearwater. Traffic will be impacted, click here for info on road closures, and here for course details. The event will be covered by NBC Sports. The historic Belleview Biltmore in Belleair was recently aquired by new owners and as part it's resoration, the Cabana Club on Sand Key will be demolished. The Cabana Club is the Biltmore's beach club with a restaurant, bar, and pool. In it's place an 8 story 57 unit hotel will be built with a new pool and cabanas. There may also be a seafood resturant on the 2nd floor. There are plans for a shuttle boat to take guests back and forth across the Intracoastal Waterway, as was the case in the Biltmore's glory days. 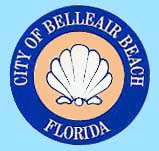 The Clearwater Beach City Council voted 4-1 to allow 42 boat slips to be built next to Belle Harbor condos. They will be built by the developer of the Sandpearl hotel and condos, and 27 slips will be leased to residents of Sandpearl with the remaining reserved for the city. The following residential sales closed in August 2007. The data is obtained from the local Realtor MLS. The Tampa Bay Breast Cancer 3-Day will being on October 19th. This annual event raises awareness and research funds. The opening ceremony will be held at the Sand Key park at 7:30 am. This 60 mile event is expected to have abour 3500 participants. Visit www.07.the3day.org for more information. Clearwater residents can purchase a 1 year parking permit for $40 that will allow them to park any one of 5 city parking lots. Locations are: 4 Rockaway St, 6 Avalon St, 51 Bay Esplanade, 605 Mandalay Ave, 3390 Courtenay Campbell Causeway. Permits can be purchased at the munipal building at 100 S Myrtle Ave. Proper ID is required. The following residential sales closed in July 2007. The data is obtained from the local Realtor MLS. The Yacht Starship II was christened August 11th at the Clearwater Beach Marina. 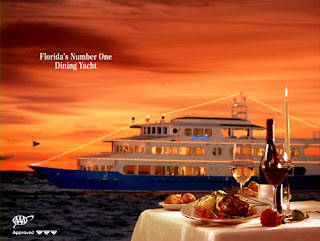 Dinner and brunch cruises are available as well as private charters, weddings, banquets, and other special occasions. This 100 foot vessel will seat 150 and features a cocktail lounge, dance floor, open air deck, and bridal changing suite. The Yacht Starship II was formerly called the Excalibur and was docked at the World Trade Center in New York from 1995 - 2001. Visit Yacht Starship for more information. The following residential sales closed in June 2007. The data is obtained from the local Realtor MLS. If you live on Sand Key you most likely use the Belleair Beach causeway to commute. Be prepared for slow going, as the bridge is reduced to one lane intermitently until the spring of 2008. The lane closures will occur between 9 am and 4 pm Monday thru Friday. An alternate route is the Clearwater Beach causeway. The Mrs. Clearwater Beach contest is underway, the deadline to enter is August 20th, and the winner will be announced on September 8th at a beach party on Clearwater Beach. The items to be judged are appearance, and their contributions to the their community and family. Prizes include a photo shoot, weekend getaway, and spa package. 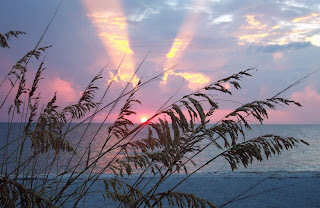 Send your photos and essays to Dr J. Bromboz, 2701 Park Ave, Suite 4, Clearwater Fl 33763. Call 712-3837 or email drbromboz@yahoo.com to request information. The following residential sales closed in May 2007. The data is obtained from the local Realtor MLS. If you're a dog owner in Sand Key you probably already know it's a great place for fido. It's also a great place to vacation if your a pet owner. The Sheraton in Sand Key is a beachfront hotel that allows pets. One dog is allowed per room, up to 40 lbs. 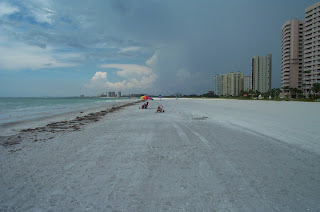 The hotel is adjacent to the Sand Key park, so you are just steps away from pooch paradise. The Paws Playground has two large fenced areas, one for small dogs and one for large dogs. You can let your dog off the leash and stretch their legs. There are doggy drinking fountains and "doggy bags" are provided for clean up. The address of the park is 1060 Gulf Blvd. 1st place - Barbara Borgan "Roasted corn and mango salsa"
2nd place - Denise Dixon "Mango"
3rd place - Susan Schlop "Salsalicious"
People's Choice - Bennie Alpin "Captain Brugal's Mango Salsa"
Hot Sauce Contest 1st place - Don Legallee "D's Heet"
2nd place - Team Paradise Spice "Ancho Mango Pineapple Sauce"
People's Choice - Harry Friedman "Harry's Hot Stuff"